To become the most successful woman in global motorsport as well as a high achieving person in business means lots of incredible lessons along the way. My guest Jutta Kleinschmidt is the first and so far the only woman who has ever taken outright victory in the longest and toughest rally in the world, the Dakar Rally. Amongst Dakar and her many other adventures, vision and courage are needed in equal measure. Join me and be inspired by Jutta’s incredible life and motor racing journey and learn the life and business lessons she has acquired along the way. In addition, we will also be talking about an area of fascination for Jutta which is the key trends in the fast moving world of mobility. Will driving your own car one day be deemed as too dangerous and become illegal? Are petrol and diesel going to come to a demise? This interview is going to be an incredible fast journey of inspiration and leading edge motoring wisdom. 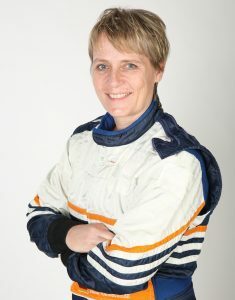 Jutta is one of the most, if not the most successful woman in global motorsport. She is the first and so far the only woman who has ever taken outright victory in the longest and toughest rally in the world, the Dakar Rally. In 2004 she participated in the Race Across America. Together with teammate Joey Kelly she cycled 3,000 Miles across America in just eight and a half days. After 17 Dakar participations with six Top-5 finishes in the overall standings, Jutta Kleinschmidt today passes on her experiences as a motivational speaker for well known companies. To complement this, she wrote her book ‘Mein Sieg bei der Dakar’.